In a deep dark lair, in Any Backyard USA, creep the Evil Black Bugs. 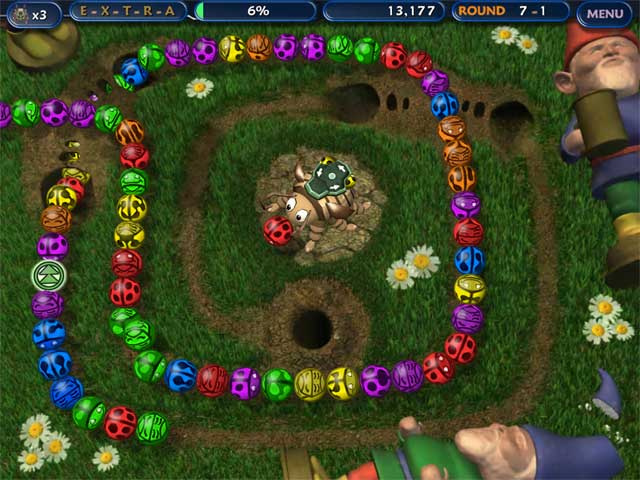 You, the hero "Tumble," hold the fate of your beetle buddies in your hands. 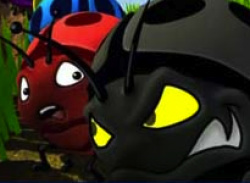 Save the colorful beetles from being enslaved by the Black Bug Empire. 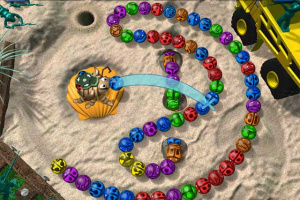 Set your buggy brethren free by matching beetles of the same color in groups of three or more. Save them all before they fall into the depths of the Black Bug's lair. 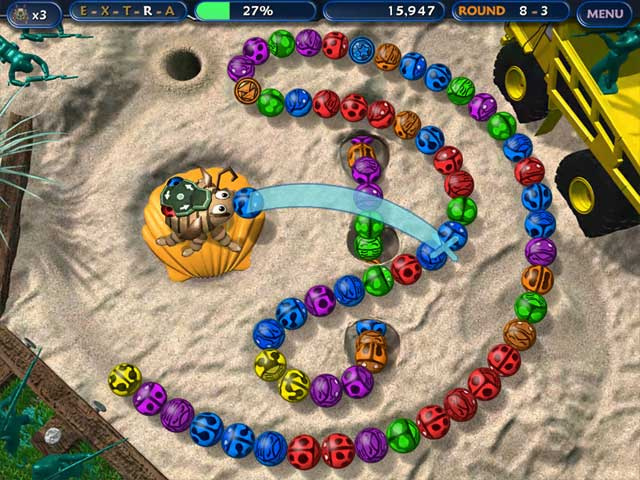 Tumblebugs adds fun and exciting features to the match three puzzle genre. 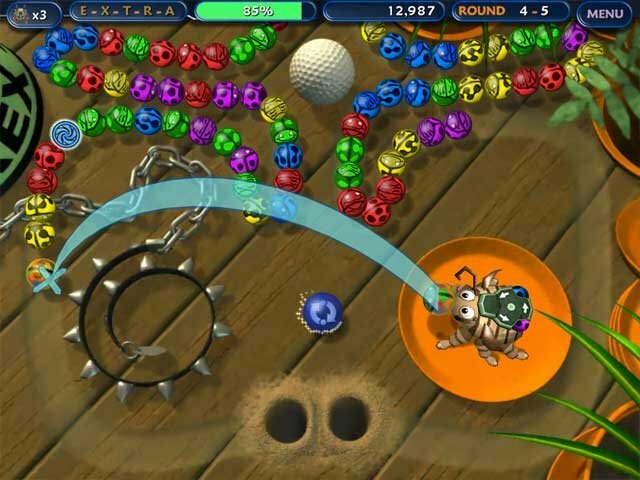 Lob shots over rows with "Ballistic Bugs." On many levels you will have the ability to jump between multiple shooting platforms and take shots from different angles. 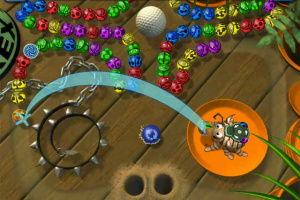 Tumblebugs is by far the best thing to come out of the action puzzle genre this year. I'll buy it if it's 900 points or less. I recently bought Actionloop Twist, so this is almost certainly a pass unless it's something spectacular. Great, just what we need. A clone of a game that's already out on a service that, to date, only has twenty-some games. Hopefully next, we'll get another table tennis game and a few more Arkanoid clones. I'm glad some publishers are keeping it real, releasing original and groundbreaking stuff, because some of these companies are just seeing it as another chance to cash in on the same old sh*t.
Dammit! 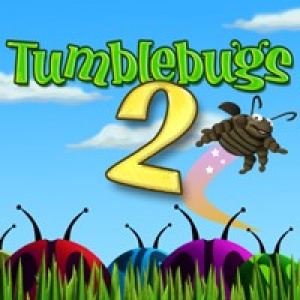 I though this would be a new version of the EXTREMELY AWSOME game Thumblebugs on the PC. Old school futuristic versus fighting with really cool "space" ships. Oh what I miss that game..
ooh, looks like a less ugly version of the wiiware magnetica! I hope this has enough to warrant a purchase over Magnetica. Please. 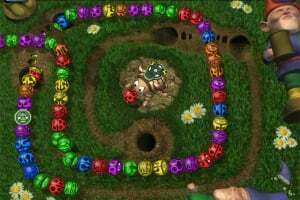 I was so addicted to Zuma years ago. I hope this game may revive that charm that Zuma had but I won't hold my breath either. We finally hear something about this game! It's just been rated by the ESRB. It's been ages. I have this game on the pc hooked up to my big screen. I use my Wiimote via bluetooth to play it and absolutely love it. I hear what you guys are saying about that twist crap but this game was way before that junk and twist is the cheap clone. next to zuma, this is the best of the type. I wonder how they did on the wii port but if all they did was transfer the game and use the wiimote as a mouse it is a blast to play. i see no reason to buy it only because i already have it, and it rocks. hope it does the pc version justice.